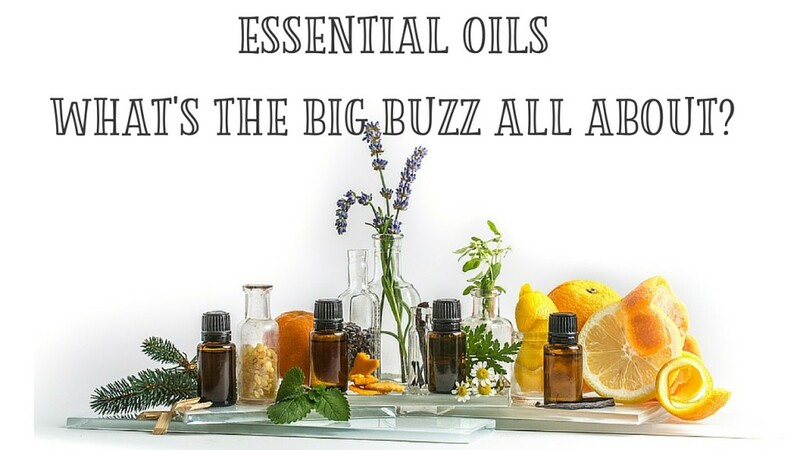 Essential oils have become a bit of a “buzz” word that a lot of people talk about. They will soon be mainstream but there’s still a lot of educational ground work to do because if you ask someone “what are essential oils”, you may get a different answer every time. But as I did more research and learned how they really work, I was amazed. I have always loved the Sciences. Whether it was Biology, Physiology, Immunology or even the dreaded Organic Chemistry classes, I was always looking forward to my health sciences lessons and yes, even exams. I remember studying really hard and pouring over research publications during my undergraduate years at McGill University majoring in Microbiology & Immunology. When I look back at those late night hours I spent memorizing the Krebs cycle or studying cellular apoptosis, I get a warm and fuzzy feeling all over because the knowledge was so empowering at the time even though some would cringe at the very notion of studying these. My love for the sciences has truly served me in having a constant thirst for learning and discovering more about how the human body functions and what it needs to remain healthy. My discovery of essential oils began shortly after my daughter was born. Iwanted the very best for her as every parent does and essential oils practically fell in my lap. Essential oils complement the way we take care of our health from within the home. We often use natural remedies such as garlic, turmeric, apple cider vinegar, fresh organic berries, green leafy vegetables, bone broths, cod liver oil and therapeutic grade essential oils only came to complete this toolkit of proactive approaches of health and self-care. People have been using plants as a medicinal tool throughout many centuries. Essential oils are today’s natural miracle remedies… yet the practice of using essential oils has been around for thousands of years! In fact, using essential oils dates back to ancient cultures in Egypt, Greece, Rome and China. Aromatic plants were used by infusing the plant matter into oil – often olive oil – much like we do today in the field of herbalism. This method extracted many of the valuable compounds from the plant, including the essential oils, so that the infused oil provided numerous health benefits. Although they are fat-soluble, they do not include fatty lipids or acids typically found in vegetable and animal oils. Essential oils are very clean, almost crisp to the touch, and are immediately absorbed by the skin. Pure, unadulterated essential oils are translucent and range in color from crystal clear to deep blue. Try this at home: Squeeze the peel of a ripe orange or lemon. The fragrant residue on your hand is full of essential oils! Some essential oil constituents are so small in molecular size that they can rapidly penetrate the tissues of the skin. This makes them excellent ingredients for personal care items intended to boost, soften and nourish the skin. However, they do not accumulate in the body over time like toxins do. They offer their supportive properties and pass on through. Fragrance oils are not pure essential oils. As a rule of thumb, if you see the word “fragrance” or “fragrance oil” or even “perfume” on anything, you can assume this is synthetic and not natural, even if it says natural fragrance. Essential oils are natural and nature cannot be patented. This means that essential oils will never be in pharmaceutical drugs and will always be classified as natural supplements. As such, you can expect that the vast majority of mainstream healthcare practitioners will never recommend essential oils as therapeutic alternatives to drugs. More importantly, because essential oils cannot be patented, drug companies will not waste money studying them. Even though, essential oils have been used therapeutically for centuries, there is little published research on many of them. However, this is beginning to change as more scientific studies on essential oils are conducted around the world. Different amounts of raw plant material are required to produce different essential oils. Did you know that it takes approximately 1,160,000 freshly picked rose petals to produce only one ounce (30 mL) of Rose Absolute Oil? Other plants like Lavender only take 100 pounds of plant material to produce a pound of essential oil. It takes 45 lemons to yield enough cold-pressed oil for one 15 ml bottle. It takes 1,000 pounds of lemon balm to produce 15 bottles of Melissa essential oil! So can you imagine how concentrated essential oils must be, in light of how many plants are used to produce them? Most essential oils should never be used undiluted on the skin. Instead, they should be diluted with carrier oils like fractionated coconut oil, jojoba oil or sweet almond oil. Because essential oils are so concentrated, if you don’t dilute them, you may end up with an unfortunate reaction (particularly if you have sensitive skin). Never use an undiluted essential oil on a baby or child. Children have much thinner, more delicate skin than adults have, and tend to be very sensitive to the potency of essential oils. Check here for a very cool dilution guide and the 19 essential oils that are safe for babies. Avoid the following essential oils while pregnant or nursing (and you may want to skip EOs completely in your first trimester). Basil, Cassia, Cinnamon, Clary Sage (can be used during labour or to help induce), Clove, Fennel, Marjoram, Melissa, Myrrh, Neroli, Nutmeg, Oregano (may cause irritation, only use if diluted), Peppermint, Ravensara, Rose, Rosemary, Rosewood, Thyme, Vetiver, Massage Blend, Grounding Blend, Soothing Blend, Digestive Blend, Protective Blend, Tension Blend, Repellent Blend. Combine one drop of essential oil with half a teaspoon of carrier oil (like olive, jojoba, or sweet almond). Rub this on the inside, upper portion of your arm and wait a few hours. If no redness or itching develops, you’re most likely not sensitive to that essential oil. Keep all essential oils out of the reach of children – and avoid contact with your eyes. This is just standard safety precautions, and common sense too, but must be mentioned. Not all essential oils are created equally and quality and ethics DO matter. When deciding to use essential oils it’s important to choose a reputable brand and usually you get what you pay for. It’s important to choose a quality oil that contains no fillers, no preservatives, no additives and unadulterated by any means. Just 100% pure plant extract – extracted in the gentlest way possible (not through heat extraction which would destroy the good therapeutic properties of the extracts). The quality assurance the company will offer should be second to none of very high standards. The company should also use third party independent testing of every batch to ensure that the oils are pure. Quality essential oils should be sourced geographically from where the plant can also contribute beneficially to the local community and people of the country in which it grows indigenously. Wouldn’t be great to use an essential oil and feel totally and completely at ease with its use knowing it has been ethically and responsibly sourced? Much like we place importance on consuming fair-trade objects and consumables like coffee, we should place the same importance on finding a company that sources their oils in a grassroots way that impacts the globe on a large scale to benefit the product, the people and the local community. A company that uses a global network of artisans to provide the raw materials – sourcing – used for essential oil production would be high in my list of favorable companies to partner with. Where a plant is grown has a major impact on its constitution, which in turn determines its potency. Using local artisans who have grown & harvested the source plants for generations ensures that the plants are not only properly cared for, but also grown in an environment that maximizes the essential oils’ potential. Essential oils will last for at least 5 years (if not 10 or a lifetime with some! ), so one bottle could literally last you a decade. Hopefully that thought will help mitigate the cost involved in purchasing some essential oils. Because they are SO concentrated and only a tiny amount is needed in anything you do, they’ll last you a very, very long time. The only exception to this rule is citrus oils, which oxidise more quickly and should be used within 2-3 years. However, some essential oils, like Frankincense, get better with age, like good matured cheese. Store your essential oils in dark glass bottles (which they were probably packaged in) and out of direct sunlight. This is simply to help preserve their potency. Essential oils may cause photo-sensitivity. Photosensitivity is an interaction between a component in the essential oil, the skin, and UV photons. Photosensitivity reactions can range in severity from slight darkening of the skin at the site of application to the development of a blistering burn. The development of a photosensitive reaction is delayed, with a peak at 36-72 hours after UV exposure. Post-inflammatory skin darkening may persist for weeks or months after the acute inflammatory phase. Note that when citrus oils are prepared using steam distillation, the photosensitizing chemical constituents are excluded and therefore the resulting essential oil will not trigger a photosensitive reaction. But most citrus oils, at least the high quality ones are yielded using cold-pressed extraction. Exposure to UV light should be avoided for 12-18 hours following the application of most citrus oils and for up to 72 hours following Bergamot oil. The safest practice is to avoid applying photosensitizing oils to skin that is exposed to light and to avoid applying Bergamot oil to the skin altogether (it can be used safely via diffusion). Remember that it is possible to be allergic or to have an allergic reaction to essential oils even if they are pure and high quality. Anyone who tells you that you cannot be allergic to essential oils or that when skin irritation arises in response to the use of essential oils (for example hives, rashes, itching, etc.) it means that your body is “detoxing” and that you need to continue to use oils is misinformed. I actually believe that emotions can play a role in the development of allergies. In fact, I think of allergies as a phobia of the immune system, which gives me important insight about how to handle them. Top quality essential oils do not contain synthetic ingredients or other contaminants. This reduces the chances of adverse reactions. But all essential oils are extremely concentrated and are undoubtedly capable of inducing immediate or delayed hypersensitivity reactions in certain people and under certain conditions. In these instances, the offending substance should be withdrawn immediately. Essential oils are safe when used according to common sense cautions. They are, however, not a modality where “more is better”. It should be our goal to avoid inducing a hypersensitivity reaction in the first place because in some cases, once stimulated, hypersensitivity can persist for life, thus depriving the affected person of the benefits of that essential oil. For this reason (among others), diluting essential oils may be the most effective and safe option. It is important to remember that essential oils are inherently benign and can be used safely by the vast majority of people, from infants to elderly, as long as they are used in reasonable quantities and according to common sense guidelines. Essential oils can be used to help your mood and to address your fluctuating emotions. In Ancient Egyptian temples, there were rituals that were known as “cleansing the flesh and blood of evil deities”. This wasn’t some kind of esoteric religious ceremony but rather a three-day ritual to cleanse the body of mental and emotional illnesses, which they regarded as evil deities. The process used by the Egyptians involved the use of essential oils. These were applied to the person, with two other people being present to support the individual. The ancient Egyptians believed that if they didn’t clear the body and mind of these negative influences they could not progress into the next life. Can this ancient wisdom apply today? It seems quite outrageous to think that something like an essential oil can have an impact on our mental and emotional wellbeing. But here’s the thing: they speak DIRECTLY to our emotions through our sense of smell. Essential oils are able to penetrate through our olfactory system to the limbic part of our brain – the emotional center of the human brain. They also penetrate to the hippocampus, which is where we store memory especially short-term memory, as well as the pineal gland, which is often associated with spiritual development. There’s no doubt that we create scent memories and aroma speaks to the MILLION different emotions or moods we feel every day!